Curti's Landscaping, Inc. is dedicated to QUALITY and DETAILED work. Originally founded by Wm. Scott Curti in 1987, our company has built its REPUTATION on IMPECCABLE and RELIABLE grounds maintenance and property management. Under Scott's leadership, our company grew to include landscape installation and construction services. In 2001, Curti & Associates, Ltd. was formed to add Landscape DESIGN services for our clients and to complement the company's Design/Build abilities. Joan Rothenbucher Landscape Design is a design and installation firm specializing in residential projects. 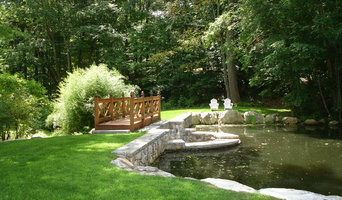 We have designed and installed projects in Connecticut and New York for over twenty five years. Our goal is to listen to your ideas and needs to provide a creative design solution that works for your property. R Design is a landscape architecture firm that specializes in residential land planning, site engineering , construction detailing and project management. Founded in 2003, we are committed to address each client's needs with creative and resourceful solutions while providing the highest level of professional service to ensure each project is completely built correctly. Our work strives to expand the boundaries of ecology, culture and timeless design. We provide services throughout the New York Hudson Valley, Western Connecticut and Massachusetts. We design and install residential landscapes, working closely with our clients to create outdoor living spaces of exceptional beauty, sustainability, and quality. We design complete master plans or individual elements as requested, at any scale from large multi-acre properties to the most intimate spaces. Depending on our clients' needs, we may include in our designs the layout and materials of driveways, entry areas, walkways, terraces, walls, decks, fences, pools, play areas, lighting, irrigation, furniture, shrub and flower borders, screening trees, ornamental and shade trees, kitchen gardens, meadows, native plantings, and woodland management. We strongly believe in delivering landscape designs that are not only consistently beautiful year after year, but that are healthy both for people and the environment. Sustainability is more than just a concept to us, but is an active process based on a constant awareness of energy efficiency, environmental impacts, and ecological benefits. We primarily install masonry and plantings with our own professional crews, and assist the client in selecting and working directly with other contractors to implement elements such as irrigation, fencing, pools, and driveways. With this proven formula, we are able to concentrate on maintaining the highest design standards while offering the most cost-efficient solutions for our clients. 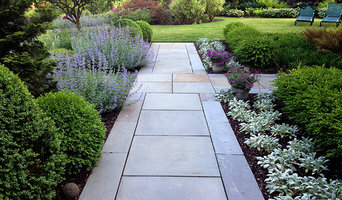 HOUZZ INFLUENCER 2017 JPLA, established in 1984, is a premier landscape architecture firm servicing New York City, the Hamptons and Connecticut. Recognized for our reputation of conceiving, planning and installing thoughtful landscapes, we are dedicated to excellent design, full documentation and superior project administration. Our design work offers the artistic spirit and technical expertise that produces comprehensive solutions to complex cultural and ecological challenges. Janice Parker Landscape Architects has established a reputation for conceiving, planning, and installing thoughtful landscapes and are dedicated to excellent design, full documentation, and project coordination. We are committed to strong relationships and long-term development of our landscapes. We pride ourselves on clear communication throughout the process and engage our clients as members of the project team. We offer the creative spirit and technical expertise that produces unique and comprehensive solutions to complex site challenges. Marsha Winston Fayer has been a passionate gardener for as long as she can remember. She spent several decades as a Fashion Designer in New York City working for many well-known brands before coming to her senses and realizing her true calling as a Landscape Designer. She studied at the New York Botanical Garden and earned her Certificate in Landscape Design. She has been designing gardens for clients throughout Westchester and New York City for over 10 years. Because of her background as a Fashion Designer, she brings a sense of urgency and professionalism to each project, as well as a refined design sensibility and heightened sense of color and texture. Winston Fayer Landscape Design creates gardens of understated elegance by integrating classic design principles that emphasize strong sight lines, color harmonies, contrasting textures and sensory stimulation. We believe that beautiful outdoor spaces enhance and enrich our lives. 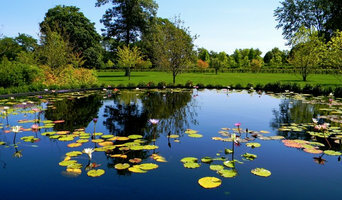 Distinctive and Inspired Landscapes and Pools! We transform sites into memorable outdoor settings. Johnsen Landscapes & Pools incorporates an artistic approach and a sensitivity to the natural environment to create elegant swimming pools, inviting front entries, multipurpose patios, meditative green spaces, tennis courts and much more. Our projects span the spectrum from large-scale master plans to intimate gardens. We are inspired by traditional landscape design but include a modern sensibility in everything we do. Please click on our company website button at top right hand corner for further details about our services, or to send a query or message.